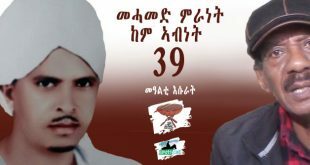 In a statement issued on the occasion of Eritrea’s Martyrs’ Memorial Day, June 20th, the Arch Diocese of North America of the Eritrean Orthodox Church expressed its unequivocal support for the Year-of-Faith’s Pastoral Letter of the four bishops of the Eritrean Catholic Church. 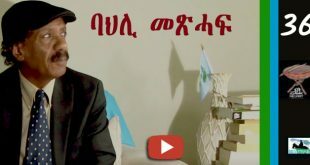 Yaftahe Dimetros is the son of the notorious patron-saint of “andnetism” and one who proudly served the Derge as ambassador to Israel till Eritrea’s independence. He was brought back to Eritrea by Isaias to do exactly what his father did before him for the king of Ethiopia: give him the Orthodox Church in a silver platter. His Grace, Bishop Mekarious of the Eritrean Orthodox Church Arch Diocese of North America, was one of the first religious leaders who attributed the plight of our youth to the mismanagement of the country. In a sermon known by many as “intezey tdefani men metsdefeni: I would not have fallen down the cliff if you did not push me,” the bishop held the regime responsible for all the tragedies afflicting our nation and people. Three years later, in a public mourning held in Atlanta concerning the unforgettable Lampedusa tragedy, the bishop further elaborated on the sad state of our affairs. For his Lampedusa sermon, click here to listen: http://www.youtube.com/watch?v=G1W0Nwy5u3k. It therefore comes as no surprise that the Eritrean Orthodox Arch Diocese of North America is the first to express its strong support of the Pastoral Letter of the Four Bishops of the Eritrean Catholic Church. It is my hope that the rest will follow this great example. This is the moment where every other Eritrean religious group and denomination should strongly and unequivocally support the courageous and unprecedented act of the four Eritrean Catholic Bishops . This is the strongest moral criticism the regime has faced from inside the country, and it is only right that we build upon this momentum. 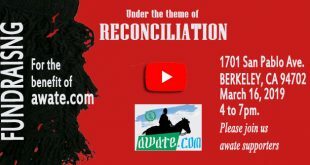 As long as a voice of righteousness calls us from the wilderness we need to respond in kind regardless of whether that voice speaks with a Catholic, Muslim, Protestant, or Tewahdo accent. Let’s show unity of purpose and unity of righteousness.. In the Name of the Father, and of the Son, and of the Holy Spirit. Amen! Therefore the law is paralyzed, and justice never prevails (Hab 1:4). 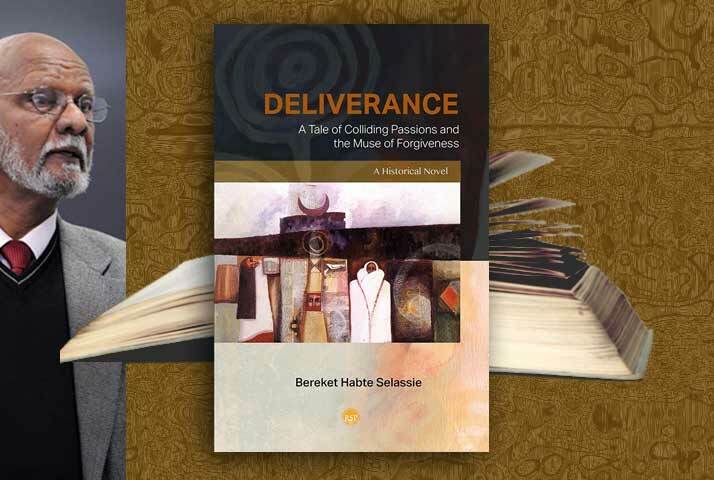 When Israel was void of the rule-of-law, justice was lost, and the people were aggrieved; the prophet Habakkuk, in tears and lamentation, conveyed God’s message to the people of Israel: “Therefore the law is paralyzed, and justice never prevails. The wicked hem in the righteous, so that justice is perverted” (Hab 1:4). 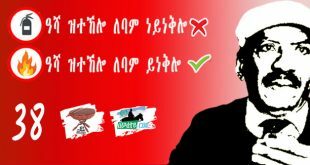 Since our current situation is getting worse; likewise we find these words very relevant and applicable to us Eritreans. 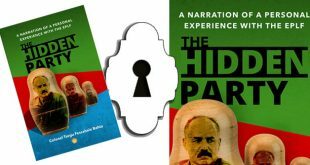 After a long period of time, the Eritrean people brought justice inside their homes (from outside); having achieved justice they breathed a sigh of relief, but only to see her buried inside their own homes. Today the Eritrean people find themselves in a situation no less serious than previous miseries, unbridled oppressions, humiliation-degradations, aggressions and exiles. This people deserve to enjoy all the things they were deprived of during their colonization: peace-prosperity, respect, freedom and justice; and today contrary to expectation they find themselves under a shadow of extinction. A country that should have been administered by the rule of law and the pillar of the truth, finds itself the mere possession of a few who cater to their whims and fancies. Because the supremacy of the rule-of-law has been stamped on, Eritreans are forced, against the desires of their heart, to flee their country into exile; and have fallen victims to human and organ trafficking where they are treated lower than animals and traded like articles of merchandise; where their bodies are cut open and their body parts harvested to be traded to the highest bidder. 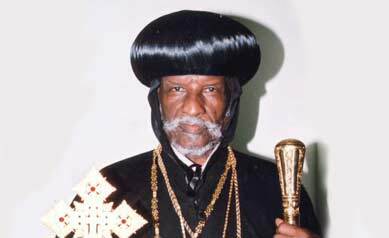 Unfortunately nobody listened to his words at the time, but His Holiness the Patriarch of the Eritrean Orthodox Tewahdo Church, Abune Antonious, who recognized the impending disaster early on, relayed his message to the people in an open letter that concerns all; and duly warned, “When you stamp on the law; the law would come back to stamp on you.” Today, with the day-to-day events, the truths of these words are being lived in front of our eyes. Because the law has been stamped on; we have all been stamped on. Our county is being deserted and depopulated; its people are fleeing in droves. Those Eritreans, men of the cloth and the faithful, had advised those who were transgressing the law to change their ways and do the right thing, for their transgressions has serious ramifications; but their advice fell on deaf ears. To the contrary, they had been subjected to treatments devoid of any compassion; even his holiness the Patriarch, Abune Antonious, was not spared; and his fate has become confinement. In our prevailing critical and alarming conditions, where our survival is at risk and we are facing extinction, four Eritrean Catholic Bishops, in their Year-of-Faith Pastoral Letter, “Where is your brother?” have conveyed a timely message that has reached many. Their message is in line with and supports the truth his Holiness Patriarch Abune Antonious, and his Grace Bishop Mekarious of the Arch Diocese of North America, Europe and the Middle East had said before the crisis have gotten out of hand; and hence we express our support to their message that has the peoples’ and country’s interest at heart—salvation. Every person with a sense of morality must raise and address the important question of “Where is your brother?” and seek solutions. Today we commemorate the martyrs who fell in line of duty for our sake; they have sacrificed their most precious lives because their hopes and aspirations were to see their people live in peace and prosperity. “Victory to the masses,” was the slogan they uttered right before their martyrdom; it was to wish the masses who survived them victory. “Victory of the masses” can only be realized when the people fully enjoy their God-given freedoms, and freely and without any fear and coercion, work to develop and take care of the land that God has given them. In other words, it is to own a country that is guided by the rule of law, justice and fairness. On the occasion we commemorate our martyrs, we call upon you, on behalf of our holy Church, to shoulder your responsibility and do your part so peace and prosperity can reign, our miseries can end, and we can have a country that fears God and respects people, and it is administered in justice and fairness. May the Lord rest the soul of our martyrs in peace. Amen! I have read a similarly confused timeline at Tesfanews, which has since been removed, only to live happily ever after at Raimoq. Ali Abdu was named as Acting Minister of Information in 2003. The journalists were arrested in September 2001 when Ali Abdu was the vice-chair of NUEYS. 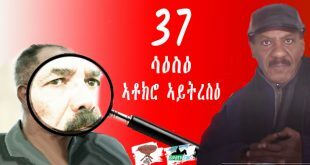 At the time, Zemehret Yohannes was the minister of information; he was followed by Naizghi Kflu: neither one of whom had anything to do with the arrest of the journalists either. 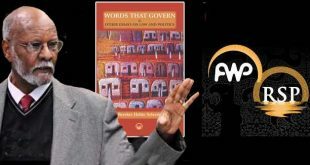 As a matter of fact, Andeberhan Wolde Giorgis now tells us that the late Naizghi Kflu not only had nothing to do with their arrest; he actually was part of a committee that recommended their release. Only one man makes decisions to arrest, to disappear, to kill: his name is Isaias Afwerki Abraham. The rest are all tools. As the wise Dejen Ande Hishel said, when somebody is beating you with a stick (a tool), you should get mad at him, not at the stick. The arrest, the disappearance, the killing will come to a screeching halt if Isaias Afwerki is neutralized (forced to resign, arrested.) This simple solution is too simple so people have been searching for complicated solutions. SAAY did you follow this particular interview about Ali Abdu? I know it is not fair to ask you for your opinion about this interview but I just want to know if you heard it. Personally I couldn’t come with grippes that Ali Abdu can be this corrupted. I was nominating him for the presidency. I am normally skeptical what I hear but this guy sounds like he is telling the truth. I have l followed the whole interview but this one is part one, any one interested you can follow the whole interview. Actually part two is more telling so, let me post it and see what you think. 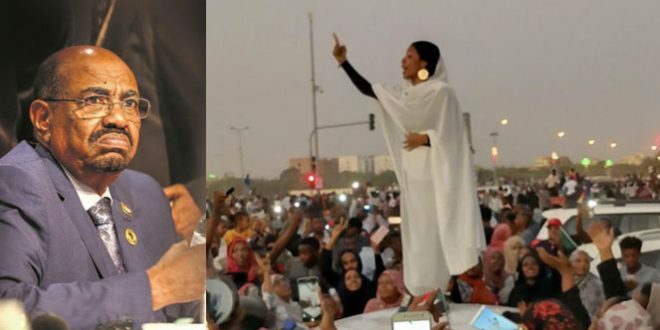 Without blinking your eyes, you have said: “The arrest, the disappearance, the killing will come to a screeching halt if Isaias Afwerki is neutralized (forced to resign, arrested.) This simple solution is too simple (but not easy) so people have been searching for complicated solutions”. I know it is part and continuation of our debate whether there is a system in Eritrea or not while there is no a system that stand by an individual person per se. A system stands only as a system when it has structured institutions that functions. It is easy to tackle against an individual (like Issayas) but it is difficult to tackle a well structured system (Like PFDJ). Until I write a piece on the subject, I just read an article by Hilal at Tesfanews titled ” Eritrea, shaebia and Issayas: United and indivisible”. 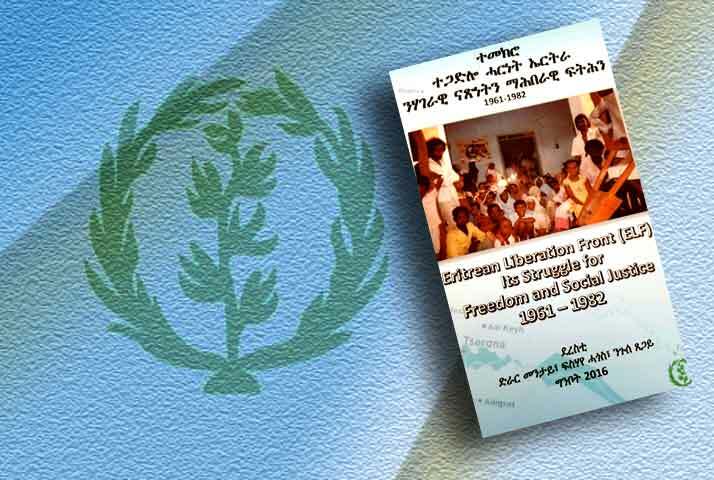 Despite Hilal is using his argument for other purposes, he is indicating that EPLF now known as PFDJ is a solid system with strong institutions within the Eritrean society, which he characterized to the system as “indivisible”. So my friend Saay, Issayas can’t stand as individual to rule Eritrea, rather he built a system that strengthen and protect his power. 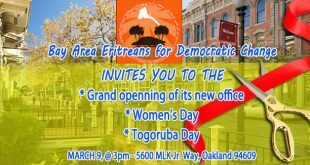 PFDJ is built in his image – an institutional view of the man called “issayas” and in the process, PFDJ is cultivating individuals to continue his value system. Our struggle is not against the individual man but against the oppressive and criminal system he built in the last 40 years from the armed struggle up to now. To simplify our struggle as against an individual man is to forget the institution he built which is the core of our problem. 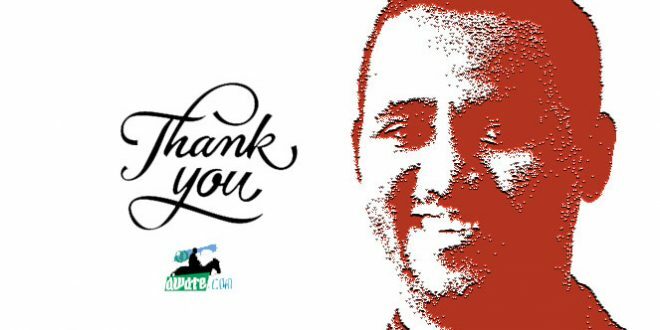 Redaie Mehari and many others talk about the brutality and vulgarity of Naizghi, but I do not support judging Naizghi on these testimonials either, but the tendency to exonerate him is not right as well. The people who joined the EPLF at very young age like Ali Abu are victims of the machinations of the PFDJ, we know that but the point it personal responsibility. The analogy of the enabler of DIA to mere tools is also incorrect, the “tool” does not have choice to say no, while the human tools have that power and some chose to be the “stick”, the stick did not choose to be stick, so while Dejen is right in his analogy you are wrong to say we should not blame the human “tools” with God given choice just like you and I. When the debate about privacy on the internet was heated, and it was revealed that you Gmail emails is read by a computer a the supporter of this said, the computer reading your email is as harmless as your dog seeing you naked. A well-known computer security, Bruce Shnier replied that, but the dog does not tell someone else that he has watched his owner naked, but the computer can tell people that it has read your email. You analogy of the tools is just like that, the true stick does not have the luxury while the ‘tools’ if DIA have that choice and we are talking about their choice to keep beating just like the real stick. Why people oppose the lion of Nakfa who was so much adored by the people for 20 years? I don’t get it. Eri without Issu is unthinkable to outsiders like me. You need to know that all of us can’t be leaders. This man devoted his whole life for Eri. Why do you blame him for everything. I am glad I am NOT a politician. By visiting awate, you are definitely a politician. welcome anyway. As for the lion of Nakfa, ok let it be as you said. How about the devil of Asmara today? he camouflaged as a lion 23 years before and he deceived many and still is able to deceive for people who do not have heart and mind but just a closed eyes who hear ERI-TV only. Come-on Selam and open your heart. Look around you and look to whom you are calling the lion of Nakfa. In fact, he was the lion of underground trenches. All trenches which are found at the heart of today’s Nakfa were used for his offices (I personally visited some of them). Those who were heroes are those who we call them martyrs. And sadly, the devil of Asmara betrayed them. Just to read through your open eyes and meditiate on them as you are in awate.com. 1. In a country called Eritrea, tens of thousands of Eritreans have been either arrested, or made to disappear, or killed, or exiled. “Isaias ordered the arrest of ten journalists who had provided press coverage to the dissenting perspective and published interviews with the senior officials critical of the president’s leadership…A special committee, established later, to review their case found that the detained journalists were merely doing their normal professional work, and had committed no violations or crimes indictable under the Press Code of Eritrea. Accordingly, the committee recommended releasing the detained journalists and lifting the ban on the private press. 3. The buck always stops with the boss: If you are not happy with what is going on with a company, an institution, a country, and when you can’t tell who is exactly to blame, ultimately, it is the boss where accountability rests. In countries that are responsive to public opinion, the boss resigns or is forced to resign. So, my dear Selam, the question is not why do people oppose the dictator, but why is he still standing as a dictator. There are many reasons for this, but chief amongst them has to be the fact that a depressingly large percentage of the Eritrean people are convinced that we don’t have a “one-man problem” but that our problem is a deep and complicated issue that goes back decades and maybe centuries and, presumably, will take decades and centuries to solve. Your brother Ali Abdu had the journalists arrested. No amount of twists and turns will change that. The buck stops with him and he will be held accountable rest assured. When shabia went after they jehovah witness, protestants and destroyed them he was praised by you now you complaining about your church well well come to reality it is what happens when support a evil dictator!!!! Are you serious to say that ? Do we need to dig further on who destroyed who ? And who conspired behind scenes. sorry for the hurried reply. Yes, that was my tough too. I wish the HGDEF junta continues to destroy the Orthodox Church and the Mosque too the same way it did to the other religions. BURN THEM!! but we don’t have still to continue committing the same mistake. although late it is still ok as far as it will save more souls. for your information Jehovah were not the first to face the problem. the problem was older than that. Thank you our fathers for your leadership and spiritual guidance hopefully your message will spread like wildfire through out our country and abroad and hopefully it will reach to some our heartless brothers and sisters getting ready to celebrate in BOLOGNA. Here is my message to them. Really my brothers and sisters???? it is not even a year since we lost our precious brothers and sisters in the tragic disaster of lampadusa. Instead of using their sacrifice to unite us and over throw the tyrant and his goonies you are getting ready to celebrate in Bolgna to put money in the coffers of the maniac. Listen to the advice from our Teahdo fathers, our Catholic fathers, Adetat TSGE, Dr Rebecca and wise Eritran men and women. A junta (ISAYAS and his criminal thugs) after 24 years of rule and ruin……. 2-created more enemies for Eritrea and not a single friend. 5-converting our elders in Eritrea to beggers. (watch mothers coming out after dark to beg in Asmara streets). 9-Government (hijacked by criminals) unelected. 11- POSTIVE ACCOMPLISHMENT BY THE DICTATOR … NONE. My brothers and sisters you know you are endorsing all the above atrocities and much more when you participate in the juntas activities. In the name of border conflict with Ethiopia (which we have) he manipulated and reduced our country into a stone age. IS IT BECAUSE YOU THINK ISAYAS (POL POT of AFRICA) NEED ANOTHER 24 YEARS TO RESTORE ERITREA?? OR IS IT BECAUSE YOU ARE NOT RELATED TO NONE OF THE 374 ERITREANS DIED IN LAMPADUSA. Our Eritrean women participated in the struggle side by side with our brothers and sometimes leading the fight. How come we do not see the dictators wife in public arenas? is it because the dictator is ashamed of her? or is it because he thinks that is not a place for woman? or is she in jail like the rest of our sisters? L.T, please don’t divide people. and don’t put this struggle as business – searching customers, that way of thinking is old still in use by PFDJ. all religious leaders of this county were informing and teaching, advising and leading us. Muslim shekhs were arrested and were victimized by PFDJ, the same with Tewahdo and all others. The different is now that everything is clear and those religious leaders are more organized so the wolf will not eat them like before. it doesn’t mater who start such secured way but all will fallow. and now Tewahdo are here which others will fallow them. L.T wants to keep people ignorant. Let him wonder in his zero PFDJ world. 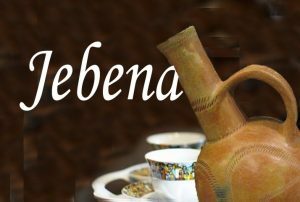 And now you want to Tewahado to became your customers….when a man has trouble getteing a wife he turn to pregnant..”Zxbebo sebayee”let Tewahado ti live in peace and Tewahado is an old cultutre and have strong people behind and not forget Tigria is a center for Tewahado.In this site if you are humiliated Muslim you are close so if you respect the people you get back.